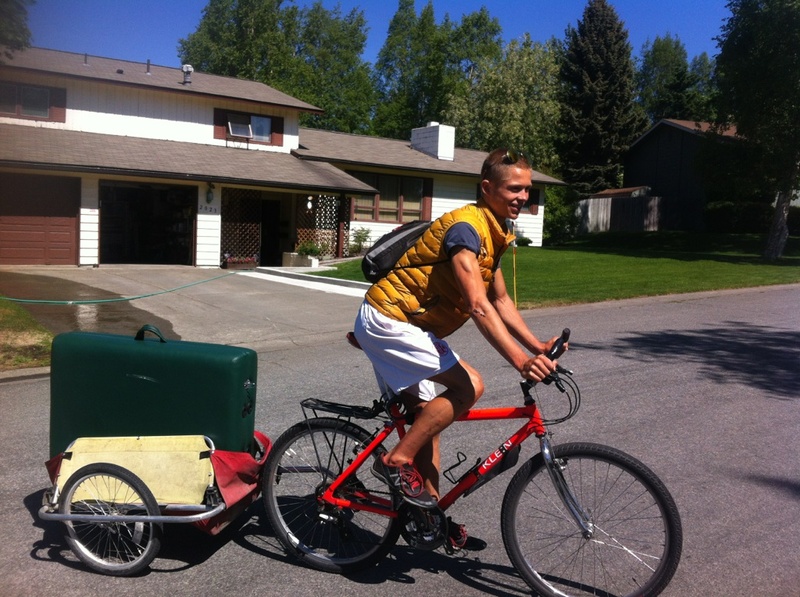 My name is Max Leyf and I am a certified Rolfer™ & Rolf-Movement™ practitioner in Anchorage, Alaska. My last name is really Treinen. I have many interests—from sports to music to literature to Rolfing®. It’s hard to think of things I don’t like besides poverty & ethnic violence. I don’t really care for The Eagles or step-aerobics either I suppose. I grew up in Anchorage cross-country skiing and playing hockey and not enough hookey that I didn’t graduate from West Anchorage High School and later the University of Alaska Anchorage with a double major in Literature & Philosophy. During college I also raced at the NCAA Championships in cross-country skiing and took two exchanges in Sweden. After college I studied at the Rolf Institute® of Structural Integration in Boulder, Colorado & at the Associação Brasileira de Rolfing in São Paulo, Brazil where I received my Rolfing & Rolf Movement certifications in May 2013. Now I’m home. Actually I left again to study Philosophy, Cosmology, & Consciousness in a Master’s program in San Francisco at the California Institute of Integral Studies. I almost called the business The Tao of the Elbow but I compromised to find a less esoteric title (though perhaps no less ominous…just kidding—we don’t use our elbows for tissue-manipulation. And when we do it’s actually the ulna and that feels pretty soft). Maybe it should be called The Gentle Elbow. In any case, it’s all towards the end of rediscovering the body’s native alignment & resilience. Rolfing SI is great. But don’t just take my word for it—experience it for yourself! If discovering ease & joy in movement sounds alright, call or text to schedule a session!